Ireland’s car sharing initiative, GoCar has announced the appointment of Leanne Hickey as head of member services and experience. 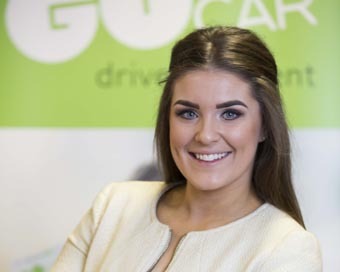 Prior to her new role, Leanne held the position of sales and marketing executive at GoCar for two and half years. Her new role in GoCar will see her responsible for the growth of the current member experience. She will also support the contact centre in implementing new member experience programmes to help build and engage the GoCar community. The role entails a high level of customer focus, attention to detail, liaising with GoCar Members and guiding GoCar’s members’ services team. Leanne holds a BSc in Business and Management from DIT Aungier Street.